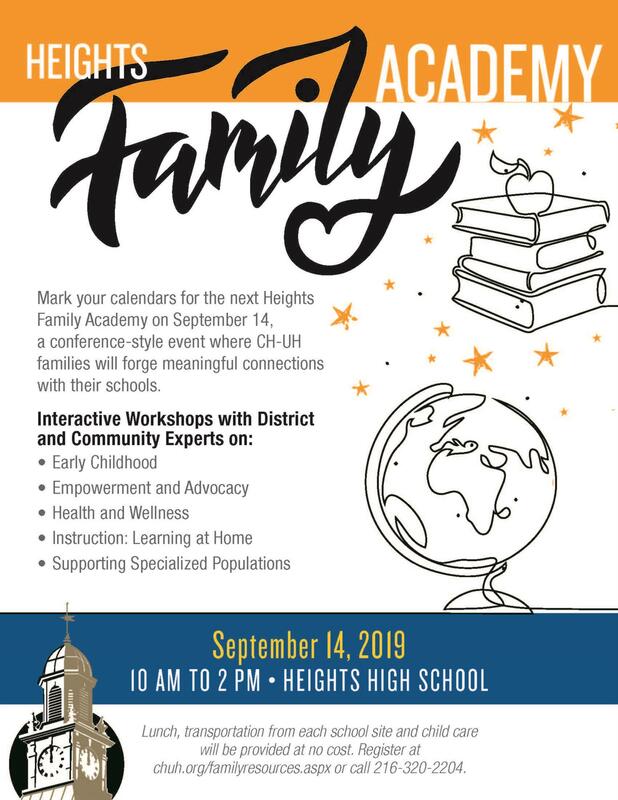 Feb. 8, 2019 -- The CH-UH City School District will host its second Heights Family Academy on Saturday, February 23 from 9 a.m. to 2 p.m. at Heights High. The event for families, students and staff is a conference-style day designed to help strengthen our school-family partnerships in a fun and exciting way. There will be interactive workshops and presentations focused on early childhood, empowerment & advocacy, learning at home, health & wellness, transitions, and support for specialized populations. There will also be several youth workshops for students to attend, including soccer with Coach Sean Sullivan, a writing workshop with Lake Erie Ink, and more. The keynote presenter is Basheer Jones. Jones is a Cleveland City Councilman, impassioned leader, motivational speaker, and spoken word artist with a positive message of empowerment and change. After lunch, join us for a community cafe, featuring a guided dialogue that will help shape the future of our district's family engagement. Lunch, childcare and transportation options will be available. The event is free to attend, but we ask that you register online.